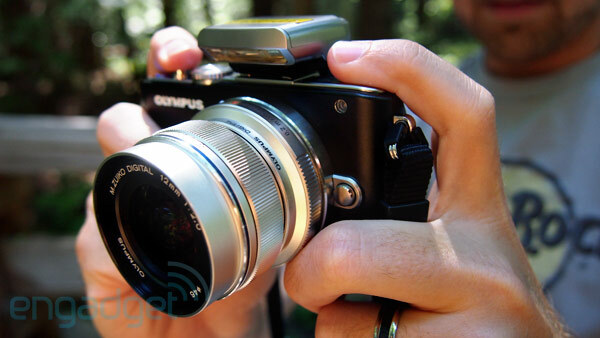 Look, the Olympus PEN E-PL3 is cute. Adorable, even. In fact, those swayed by looks alone may be sold after whisking through our hands-on gallery below. But for those interested in more than a highly-capable fashion accessory, it's worth taking a deeper look into the latest member of the PEN Lite family. We'd strongly recommend reading over our PEN E-P3 review before continuing on, as a lot of what we found true there also applies here. 'Course, that's not at all unexpected given the wealth of shared resources: a new 12.3-megapixel Live MOS Image Sensor, TruePic VI Image Processor, an ISO range peaking at 12,800, a reengineered autofocus system, full 1080i HD video with Dolby Digital sound recording, newly designed user interfaces and a variety of Art Filters / built-in creative features. Now that you're in the know, let's continue. Quality-wise, you're getting (largely) the same results as the more expensive E-P3, but in a lighter / cheaper package. The only problem? Sony's NEX-C3. How would you rate the PEN E-PL3? Without qualification, the actual aesthetic of the E-PL3 is what most separates it from the bulkier, more prosumer-focused E-P3. Well, that and the price. From a design standpoint, the PEN Lite E-PL3 is far slimmer than the E-P3, yet it retains a heavier, metallic body that won't soon be mistaken for a toy. The smaller size comes with quite a few compromises. For one, there's no built-in flash, but Olympus was smart enough to toss in a hot-shoe flash accessory for those needing one. Moreover, the tilting LCD on the rear lacks support for touch -- hardly a deal-breaker for us, but others may disagree. The real kicker is the dearth of modal buttons. There's a single scroll wheel (which is fixed quite close to the body), and far fewer buttons / knobs for tweaking manual settings on the fly. Those looking for a wealth of manual controls will obviously be disappointed, but to be fair, the E-PL3 isn't aimed at that market. By and large, those familiar with the face of the E-P3 will have no troubles acclimating, but you'll need to adjust to having fewer knobs to turn when looking to tweak things. The overall build quality is nothing short of exemplary, and the metallic body exudes quality. A front-mounted grip would've been appreciated, but outside of that, it's hard to kvetch about the chassis. Also noteworthy is the battery; not only did it last for around 215 shots with around 30 minutes of video thrown in, but it's also the same cell found in the E-P3. Naturally, that makes charging and battery swapping a breeze for families that intend to own both. Same story, different day. Due to the highly similar internals in the E-PL3, the output is effectively identical to that of the E-P3. In other words, our gripes of excessive "jelly vision" in the videos and an overly digitized look to untouched images stands here as well, and while the E-P3 claims to have the planet's fastest autofocus system, the E-PL3 can't be far behind. We never found ourselves wishing for E-P3-level quickness whilst using the E-PL3, and that's a good thing. 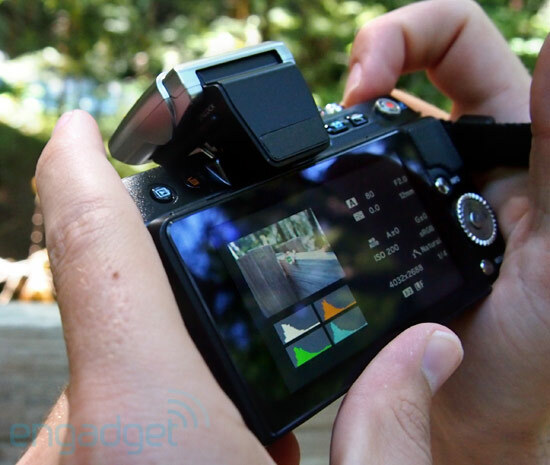 We will say, however, that it was indeed more difficult to get our settings just so on the E-PL3, frustrating us into using the Automatic mode far more often than not. In fact, Olympus has deactivated some of the more advanced menu settings on the E-PL3, while leaving them unhidden by default on the E-P3. It's a nasty little trick, and it took us a bit to uncover what we just knew was there. Granted, we're glad that the company kept 'em in there (versus stripping them entirely), but it's still somewhat annoying. On the plus side, the refreshed UI seen on the E-P3 is present here as well, and it's still just as charming. Have a gander at our galleries and video to get a glimpse at what this guy offers, and be sure to dive into ePHOTOZine's review (linked in 'More Coverage' below) for a more in-depth peek at the sensor's capabilities. At $700 (with the same 14-42mm f3.5/5.6 lens that's bundled with the E-P3), the E-PL3 comes off a full $200 cheaper than its bulkier brother. And to us, it makes all the difference in the world. Despite having fewer buttons to mash and wheels to turn, the price point here doesn't put in direct competition with some of the nicer mid-range DSLRs. In other words, the E-PL3 is priced closer to a level that we'd expect -- at least, until you price out that $800 12mm wide-angle lens that's shown throughout this review. Quality-wise, you're getting (largely) the same results as the more expensive E-P3, but in a lighter / cheaper package. The only problem? 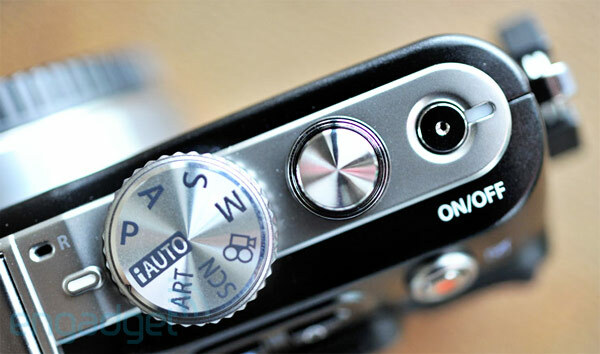 Sony's NEX-C3. That fellow offers the same -- if not superior -- performance in a kit that's priced at just $600, and unless you're already invested in Olympus glass, we can't offer a single compelling reason to buy the (admittedly more handsome) E-PL3 over that.